The Casa Batlló is one of Antoni Gaudí's architectural masterpieces and an iconic modernista landmark. Situated on Passeig de Gràcia, this building stands out from the rest due to its eye-catching design and colour. It is a UNESCO World Heritage Site. We invite you to visit the Casa Batlló which has transcended the concept of a building to become a legendary icon of art, architecture and art nouveau. 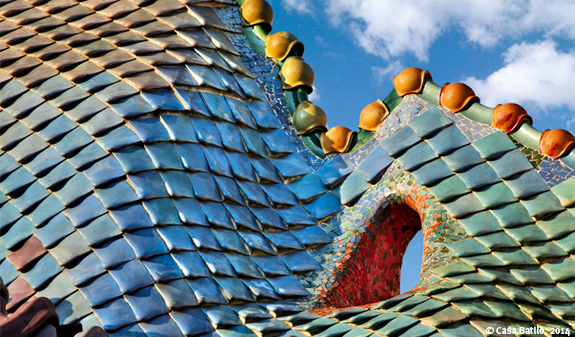 Here, light, colour and shapes interact with wood, glass, ceramics and quarried stone in Gaudí's characteristic fantastic and breathtaking style. Pick up your Smartguide (augmented reality) and begin your tour of 20 different points. You'll discover a whole host of details that are hard to spot at first glance, with metaphors and depictions of nature, particularly the undersea world, which will inspire and stimulate your senses and emotions. The Smartguide is available in 10 languages: English, Catalan, Spanish, French, Italian, German, Chinese, Japanese, Russian and Portuguese. 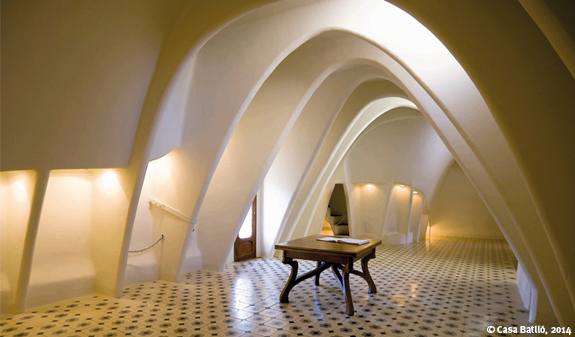 You'll visit the legendary mezzanine, where the Batlló family once lived; the attic, where the storerooms and laundries were located; the rooftop, with its iconic chimneys, the amazing light well which houses the staircase once used by the privileged neighbours, the magnificent hall and the main staircase. View of the modernista salon: Exclusive visit to a modernista salon with its period furniture. Take a first-class trip back in time. VIP access: Skip the line and avoid waiting. 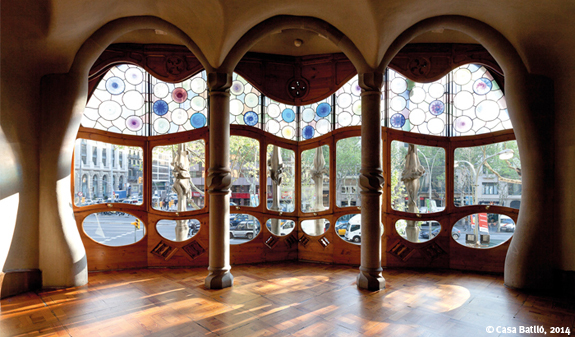 Enjoy VIP access with your ticket to the Casa Batlló and at the shop. SmartGuide Premium: Augmented reality video guide, with Premium headphones. Period photo: Dress up in period clothing and take a photo away with you as an unforgettable memento. Free cancellation: Without any penalty charges or conditions. Blue ticket: Visit + augmented reality Smartguide. Silver ticket: Visit + augmented reality Smartguide + modernista salon. Gold ticket: visita + augmented reality Smartguide + modernista salon + VIP access (skip the line) + period photo + free cancellation. Times: 9am-8pm (last admission). Times may be altered if the rooms have been booked for events or conventions. Languages: video guide in different languages: English, Catalan, Spanish, French, Italian, German, Chinese, Korean, Japanese, Russian and Portuguese. Address: Passeig de Gràcia, 43. Metro: L2,L3 and L4, Passeig de Gràcia stop. Bus: 7, 16, 17, 22 and 24. Renfe rodalies: Pg. de Gràcia. 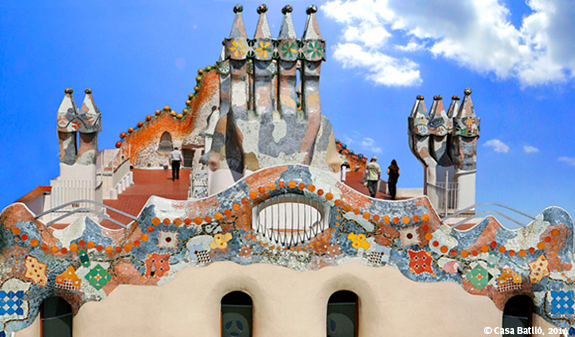 Once you have completed your purchase you will receive an email with a voucher containing a link (pdf) where you can download your ticket to the Casa Batlló. Free admission for under 7s. Reduced tickets for 7 to 18 year old, students and over 65 years old. Proof of age must be provided when purchasing a reduced ticket. Facilities for the visually and hearing impaired. Wheelchair accessible. Lift to the attic. The noble floor of Casa Batlló is being restored. With a minimum purchase of two non-discounted items you can accumulate a discount of up to 7% in your shopping basket. Make the most of our discount scale: two products, -2%; three products, -3%; four products, -4%, and five products or more, -7%. See the terms and conditions of the promotion. 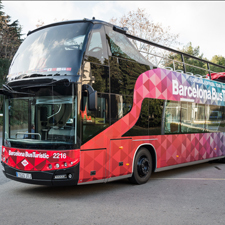 Turisme de Barcelona offers you the chance to join the affiliate programme for its on-line platform Barcelona Tickets. 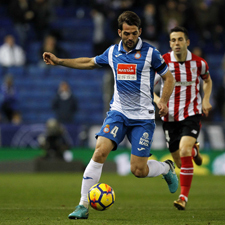 DO YOU WANT TO MARKET YOUR ACTIVITY? This document will tell you how. Have you got any questions? Having problems making your purchase? Don’t hesitate to contact us.